NEW: Click here to see our online Tour of Eye Of The Needle! 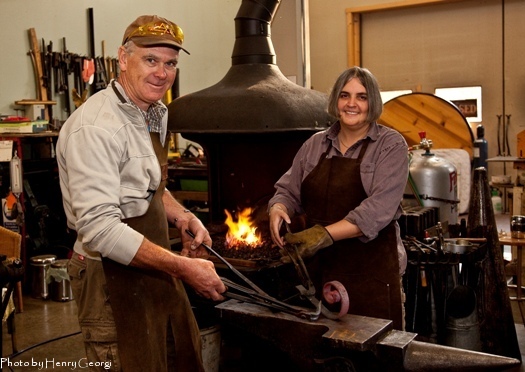 David Barrett, an engineer and fifth generation smith and his wife Sandra are both qualified British blacksmiths. Using modern welding and plasma cutting equipment and traditional coke fired hearth, Fernie Forge makes all manner of things from forged and fabricated metal, using steel, bronze and copper. Many of Fernie Forge’s pieces are quietly becoming permanent mainstays within a 100 km radius of Fernie, visible in municipal parks and businesses, as well as private and commercial properties. Every order is custom made to fit the individual customer’s requirements. 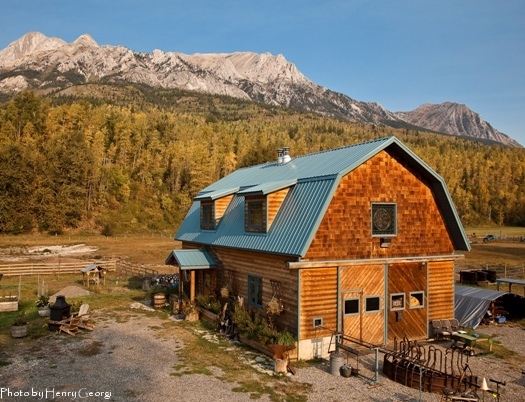 The heart of the business is now in historic Hosmer, East of Fernie in the Canadian Rocky Mountains, where a purpose built workshop has been established to address the custom blacksmithing needs of the Elk Valley. The beautiful and functional working environment enables them to design, make and install quality hand made products at an affordable price.